HomeServices Insurance is an independent insurance agency dedicated to helping individuals and families in the area find quality solutions to their personal insurance needs. Our insurance agents understand the varied and unique coverages needed for this area and are able to leverage this knowledge to develop custom insurance strategies and options to better meet the evolving needs of our clients. 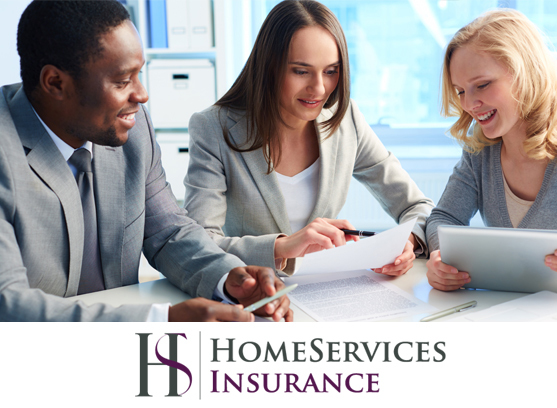 HomeServices Insurance offers access to a diverse network of top-rated national and regional insurance carriers and a full suite of insurance solutions for home, auto, umbrella, personal liability, and more. HomeServices Insurance's goal is to provide our client a quality, convenient, and seamless experience that removes the hassle and unpredictable service of working with multiple vendors as they complete the home buying experience.